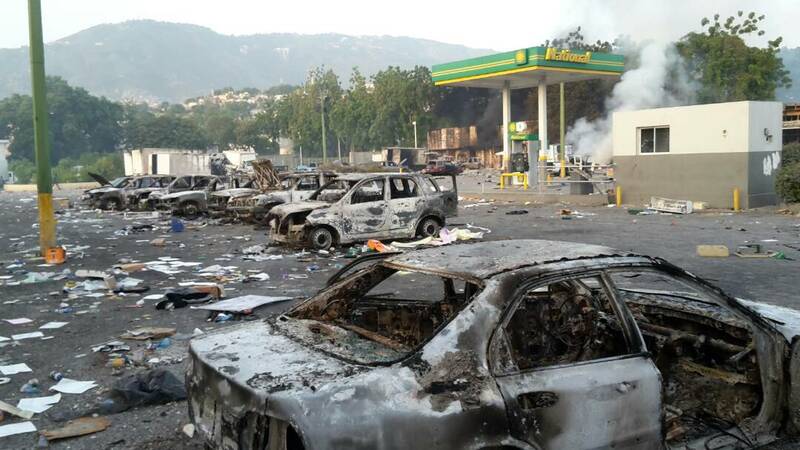 Port-Au-Prince city, the capital of Haiti was totally blocked all around in each corner with fire barricades and debris by the population who were active in their protest against the Governments measure to increase the gas price on the Haitian market. Many have reacted so brutal with violence, crime, and riot from Friday 6 to Sunday 8 of July that the Government was obliged to retract the decision of increasing the gas price. Many grocery stores and business have been looted and burnt out. This includes big hotels, banks and cars showrooms have been attacked, many cars in cars dealerships were ruined and burned, even hotels, banks and even parking lots were set afire. 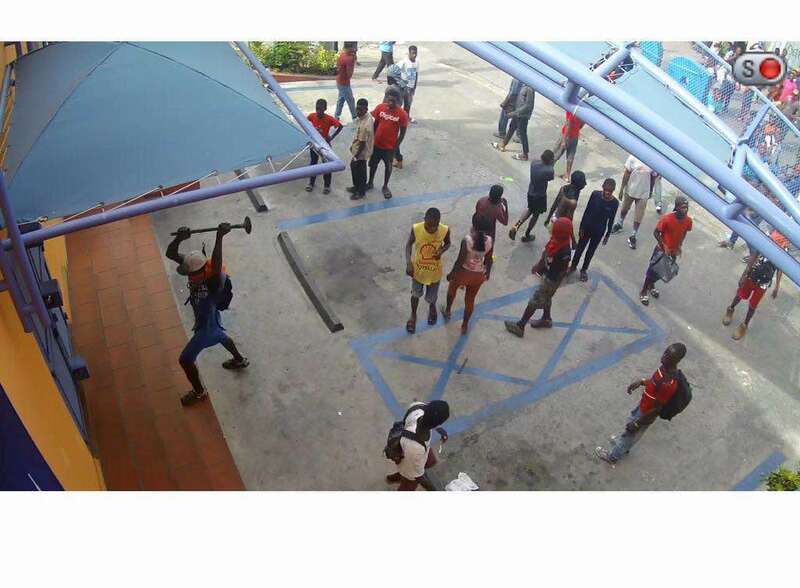 It was a chaotic vandalism and a riot situation on the streets of PAP without police intervention. The government retook control of the situation from Monday 9th with serious consequences of Government officials some were dismissed during this weekend. The President of Haiti, Jovenel Moise is in the process with the parliament to form a new Government. Those violent demonstrations have a serious impact on all products prices in the Market. Many businesses stay closed and many people lost their job. Most damages occurred in PAP but the whole country is affected by the negative impact on the economy that was already fragile. All school projects that Star of Hope support in Haiti were closed for summer break when the unrest situation happened so they are not affected now but will be affected in next coming reopening school year with by the high goods price on food, school uniforms, and books, etc… So far the situation is calm now while waiting for the new government be in office. God Bless you all as well as Haiti! We ask that you consider a special gift for those in danger, infants, single mothers the elderly, all will need food and help. Just like so many places in the world, this is a small percentage of people giving the wrong idea, let's help the ones who are truly needy, a small gift means so much, be blessed!